A woman who was seriously injured in a hit-and-run pedestrian accident in Renton Saturday is now recovering from her injuries and is reportedly in stable condition. 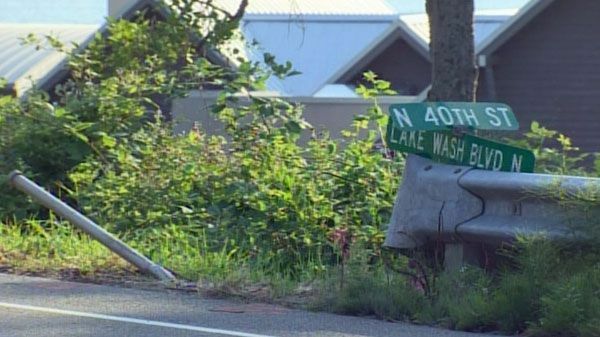 Police say the crash occurred at approximately 9 a.m. in the 3800 block of Lake Washington Boulevard on Saturday when a woman was walking or jogging along the road. The woman was struck by a negligent driver who left the scene after the crash, only to return soon after. The woman, who has now been identified as Rozalind Hall of Renton, was thrown approximately 30 feet into some blackberry bushes from the collision. The victim did not have any identification and police spent the weekend attempting to identify her while she remained unconscious at Harborview Medical Center. Hall’s son, Alex Stratton, saw the KING 5 News report and realized it was his mother. The driver was arrested for investigation of vehicular assault upon returning to the scene of the crash, and police say that alcohol may have also been a factor. Hall suffered two broken legs and two broken arms in the incident but escaped without a head injury, said Stratton. He believes the kind actions of a few random strangers likely saved his mom’s life. Davis Law Group helps drunk driving accident victims in the Renton area get financial compensation for their injuries and lost wages. We work closely with the criminal prosecutor to make sure that all avenues, both criminal and civil, are being pursued. If you have been the victim of a drunk driver, contact Davis Law Group at 206-727-4000.